Successfully Added Rear-View Car Mirror with Wireless Parking Camera - Bluetooth, Sync Phone Book, FM Transmitter to your Shopping Cart. Car Rear-view Mirror with Wireless Parking Camera features Bluetooth, Phone Book and FM Transmitter makes driving safer and more convenient. 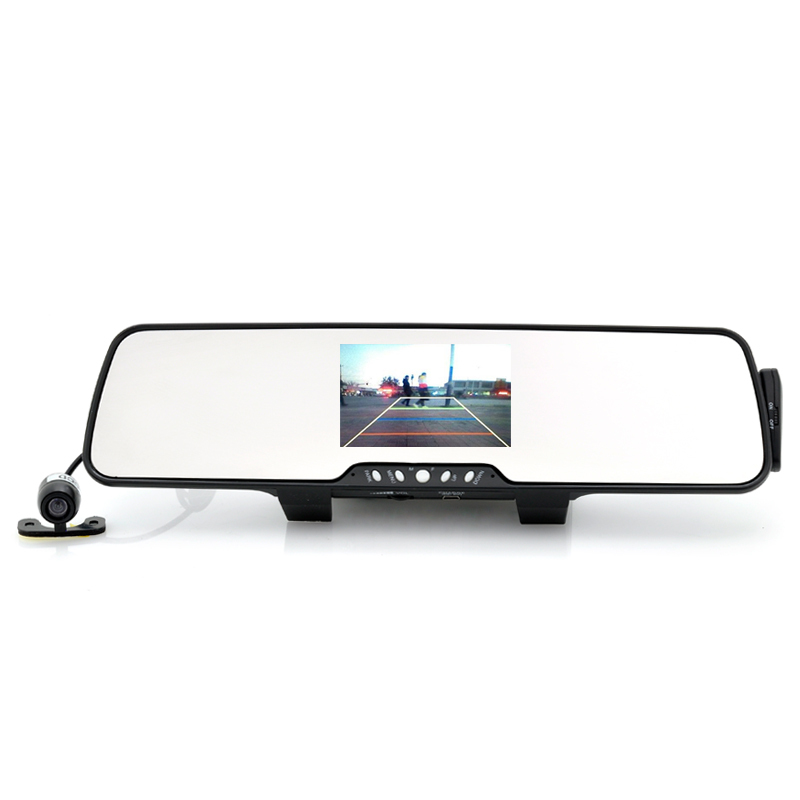 Keeping safety is essential to remember, especially when driving, and this rear-view mirror that comes with a wireless parking camera is a great investment to increase the safety. 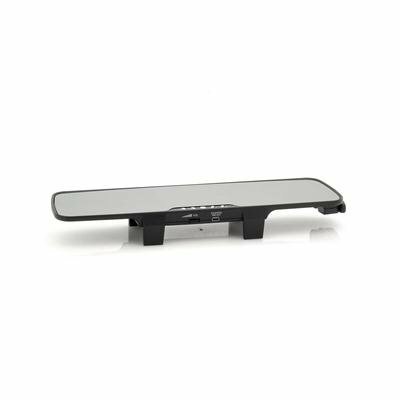 This camera is super light, the thinnest and lightest Bluetooth rearview mirror car kit with monitoring camera on the market. It slides over your existing rear view mirror and provides you wireless handsfree functionality and monitoring. The rear-view mirror has plenty of features, such as a built-in microphone with DSP (Digital Signal Processing) noise and echo cancellation. 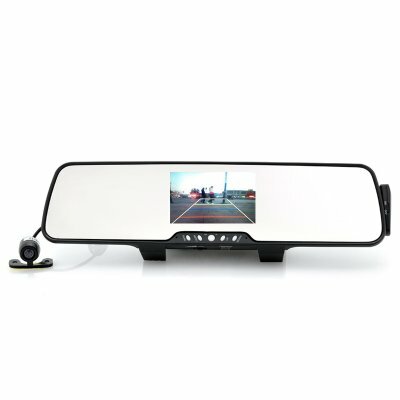 Use your mobile phone to pair with this rear-view mirror to so it can sync your phone book. There are two speakers so you can hear callers loud and clear plus there is a high quality 3.3 inch TFT LCD color display caller's ID and name. Also it displays outgoing call number and shows caller ID in English. With the FM transmitter, you can access stations that run between 87.5 to 108MHZ. The wireless parking camera that accompanies this rear-view mirror has a visual angle of 120 degrees. You will therefore be able to see a lot of activity behind when you are reversing. No matter the weather, this parking camera won’t be affected due to having a waterproof design that has an IP67 waterproof rating. In stock now, we guarantee that this Car Rear-view Mirror with Wireless Parking Camera can be dispatched within one working day with a 12 months warranty. Brought to you by the leader in electronic devices and wholesale Mirror Monitors, Chinavasion.